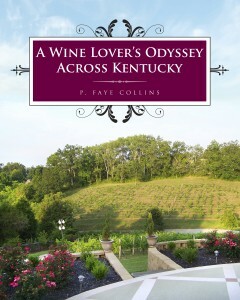 On October 3, I will be signing and discussing A Wine Lover’s Odyssey Across Kentucky, at the Lexington Joseph Beth. There will be a Kentucky wine tasting and cheese event in the Bronte Bistro at 6 PM, followed by the signing at 7 PM. I am especially excited about the signing because this has been a favorite store of mine since it opened twenty-five years ago. I’ve planned shopping trips so that I could visit Joseph Beth. When we stay in Lexington, we’ve often chosen the Hilton at Lexington Green because you can walk to the bookstore. I went to two signings at Joseph Beth over the years that were exceptional experiences. I was able to meet John Ed Pearce and talk to him about his book, The Feuds of Eastern Kentucky, and was also able to meet Jimmy Carter when he signed The Hornet’s Nest.